This is how we do it. — Intergalactic Cafes, Inc.
1. 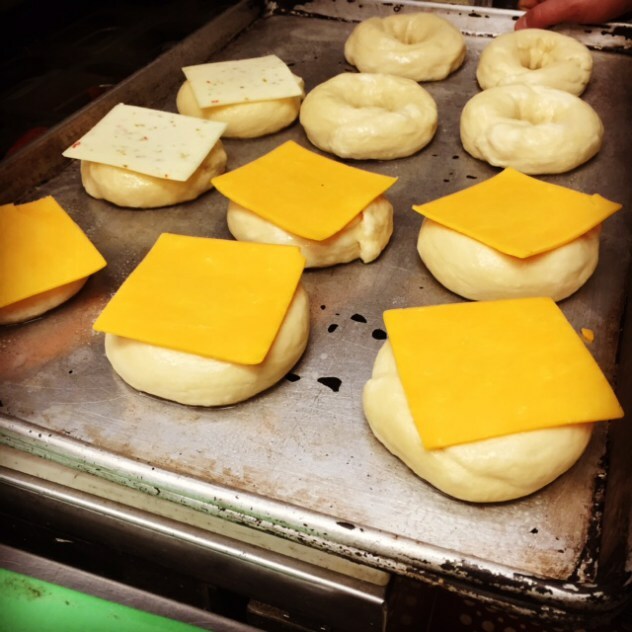 Bagels are looped every night and left to rise. 2. In the morning, they're boiled for 1 minute on either side. 3. Then they're brushed with egg wash.
4. Next come the toppings! 5. The bagels are then baked for 15 minutes.